Android, the open-source operating system for mobile devices has been making waves recently. Not only does Android beat Apple’s iOS at its own game, it is also starting to show up on other devices as well. With the Nexus 7 and the Nexus 10 tablets, Google has proved that Android is not a one-trick pony. 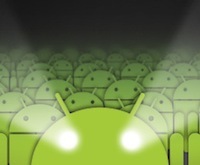 Also, you’ll find Android showing up on many more devices like Google TV and more. Whether porting Android on non-smartphone devices works or not remains to be seen; however, the prospects of such endeavors seem bright. The Android marketplace (now called the Play Store) already comes with millions of apps, many of which, can be used on devices with multiple form factor. Another advantage of porting Android to other devices is that the OS being open-source, a lot of community members will be willing to chip in and work more on the project. Last, but not the least, Android is very stable, so, many ports might just work out of the box, without any major bugs. So, there is no doubt that Android on devices other than smartphones is more than just a great idea. Though not much progress has been made in this department, there are, in fact many new Android-based gadgets and gizmos slowly gaining popularity. 1. I’m Watch! : I’m Watch is an Android-powered smart watch made in Italy. 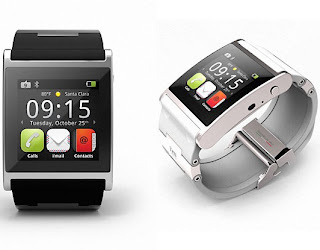 Rather than simply porting Android to a watch, the developers have heavily customized the open-source operating system making it perfect for the little gadget. Apart from acting like a… oh well… a watch, I’m Watch! also connects with your smartphone allowing you to accept or decline calls you receive on your phone. You can also get notifications from Facebook, Twitter, Foursquare, and other social media services on the go. Moreover, you can stay on top of your game by checking out the latest news, tweets, and weather updates right from your wrist. 2. 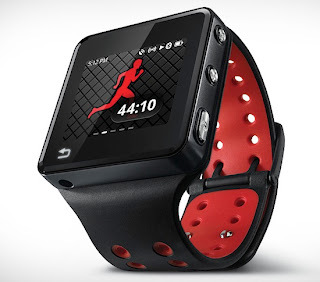 Motorola MOTOACTV: Unlike the aforementioned I’m Watch!, MOTOACTV is a GPS fitness tracker with a smart MP3 player. Powered by Android, this little wrist device lets you track your athletic performance better. Whether you are a runner or any other athlete, you can use MOTOACTV to track your performance and get an idea about the areas in which you can improve. Equipped with a touchscreen display, MOTOACTV also serves as an MP3 player, a motivating audio coach, and above all, a watch! 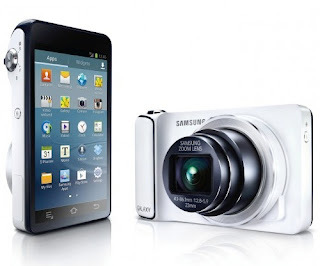 Samsung recently unveiled the Samsung Galaxy Camera, and Android-powered digital camera that lets you shoot like a pro. Powered by Android, the ‘smart’ camera lets amateur photographers shoot videos and photos like the professionals do (well, almost). Equipped with various ready-made effects, settings and tweaks, Samsung Galaxy Camera makes full use of the power of Android to provide a fully functional camera that makes the rookies feel like pros. While we won’t be seeing the Chromebook-Android mash-up anytime soon, Indian online retailer Infibeam has been stocking an Android-powered laptop for a while now. 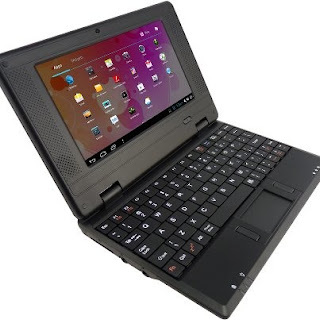 Ambrane Mini Android laptop comes with a 7-inch display, Android 4.0, 1GB of RAM and 8GB hard disk drive. Although the laptop is basically a tablet, the concept of putting Android on laptops doesn’t seem too unreasonable. 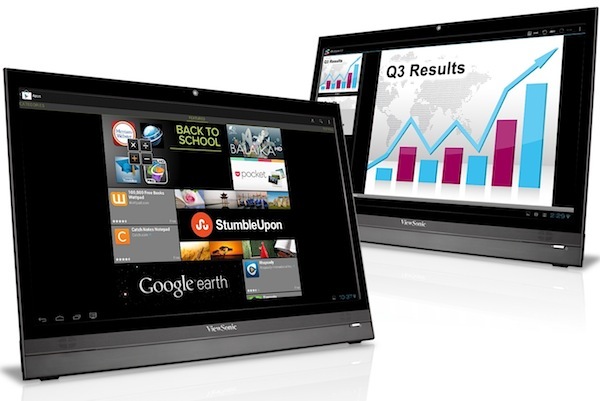 The ViewSonic VSD220 is 22-inch monitor that comes with a dual-core processor. Though the reviews for this device are not that good, it is still a worthwhile example of how Android can be ported effortlessly on any device at hand.